E.O.B. Deputy critically injured in an on-duty job accident …………………………………. 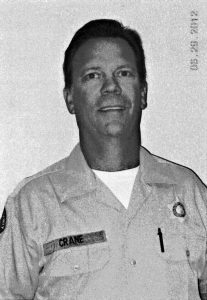 Deputy Elwood “Woody” Crane, assigned to Emergency Operations Bureau, was critically injured in an on-duty industrial accident at Star Center on Tuesday, October 18th. He is in currently at U.S.C. Medical Center in ICU in extremely critical condition. He was moving a large C container weighing over 1800 pounds with another deputy when a 500 pound box of tools fell from atop of another container crushing his upper body. Please, no visitors but cards, notes, and other well wishes are welcome. For further information or updates, call Deputy Jeff Tesdahl at 323 821-0696.